Fuel Excise Duty refunds for aircraft: Time to plan a different route? Why should pilots pay tax for roads on the fuel they put in aeroplanes? Dealing with Ministry of Transport officials is incredibly frustrating. For years, the GAA has been trying to get the ministry to seriously look at the unfairness of pilots paying fuel excise duty on Mogas – a tax that goes towards building roads their aircraft will, hopefully, never need to use. After a long period with no communications from the person tasked within the MoT to review the Land Transport Management (Apportionment and Refund of Excise and Excise-Equivalent Duty) Regulations 2004, we eventually made contact with the official under whose portfolio this issue now falls. We were told that the MoT had been restructured yet again and our previous official contact was no longer there. The Ministry has a dysfunctional system in which – when a manager leaves or is replaced – the replacement makes no attempt to pick up the files and notify interested parties of the change. It’s to be expected that the latest reorganisation will amount to a “re-arrangement of the deck-chairs” and the bureaucratic run-around on the issue of FED refunds will continue indefinitely. Despite having first brought this issue to the attention of the then Minister of Transport, Gerry Brownlee, in a letter of 19 May 2013, five years later we are in exactly the same position. The matter was subsequently placed before the MoT’s (now also departed) Chief Executive, Martin Matthews, on 25 August 2013, the (now also departed) Minister of Transport Simon Bridges in 2016, and various advisors and project managers (now also departed). The net result has been a succession of unfulfilled expectations and bureaucratic procrastination. There appears to be an underlying desire by the Ministry to maximise the FED revenue stream generated by Land Transport Management (Apportionment and Refund of Excise and Excise-Equivalent Duty) Regulations 2004; so why would they review them? Before 2008, the revenues from FED were largely retained by the Crown as general revenue. It was only after 2008 that the full revenue stream was dedicated (or hypothecated, in bureauspeak) to the National Land Transport Fund, less a small contribution to fund selected search and rescue costs. The nature of FED remains as a tax on which a further tax (GST) is also incurred. It’s double-taxation – illegal in most other jurisdictions. 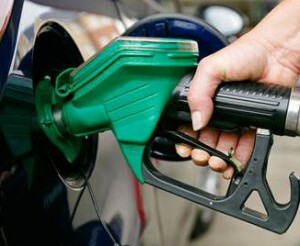 Now, the Regional Fuel Tax has been added to the per litre price in Auckland, resulting in general outrage. The GAA has often pointed out to disinterested politicians that only in the most dire circumstances will an aircraft use any road to which the fuel excise duty (and now the Auckland regional fuel tax) contributes. A previous Minister of Transport has stated that, in other similar matters, “cross-subsidisation was neither appropriate nor fair” and “this is consistent with related government guidance”. However, the Minister’s statement now seems to be at odds with the Ministry’s position that “while it is nice to have a fairly close relationship between the nature of the activity being taxed and the purposes the tax is then put to, it is not a central determinant of the fairness of the taxation that some part of it goes towards less-related activities”. Having hit a brick wall with the MoT, efforts to resolve this matter may be better directed to the Finance and Expenditure Select Committee.